I'm so happy you're enjoying this Quilting Design Gallery! 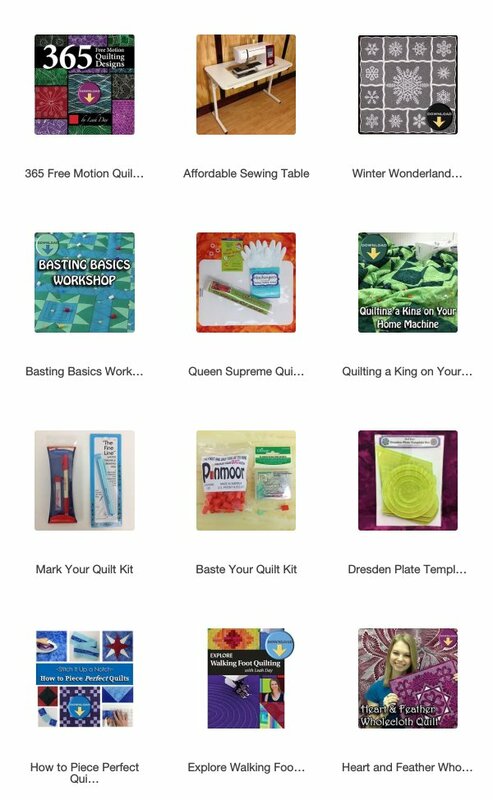 This page contains links to designs 101 - 200 from the Free Motion Quilting Project, published between 2009 and 2010. Simply click on the image or name to pop to the blog and learn how to quilt that design. Each design is taught in helpful video quilting tutorials to guide you through quilting the designs on your home machine. If you'd like to learn how to quilt these designs on bigger quilts, please take a class with me! One of our biggest classes is Super Squares and Sashing. In this workshop you'll learn how to quilt designs in small squares as well as narrow sashing spaces. You'll build lots of new skills with this workshop and quilt a beautiful sampler with over 30 designs. Click Here to learn about Super Squares and Sashing. Help support the Free Motion Quilting Project! I run a small family business with my husband and we couldn't share new weekly tutorials without your support. Please check out our quilt shop and find books, patterns, tools, and supplies to make quilting easier on your home machine.